You are not the first Prospect to be chosen… nor will you be the last. The Adal Empire does not yield its secrets easily. Everywhere you see the men and women you once knew; now, they’re husks of their former selves. They are lost. Though their minds are shattered from whatever they’ve encountered here, their strength is unwavering. No matter what you knew of them before, they have now become something new: your enemy. 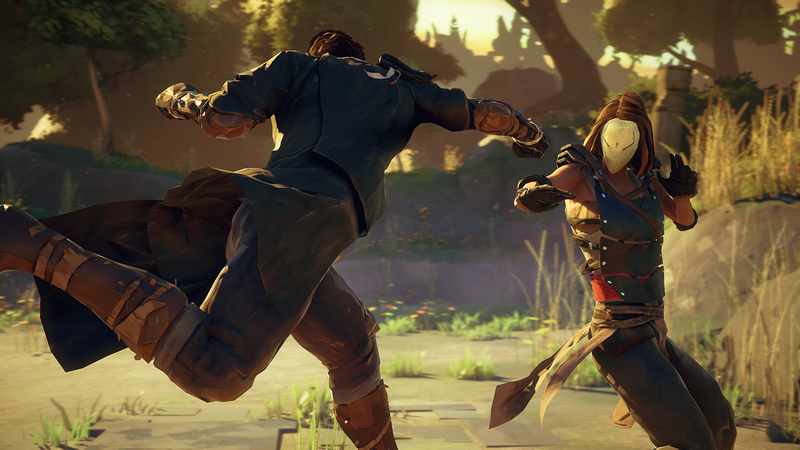 It’s hard to define exactly what Absolver is because it pulls from so many influences and uses them wisely. It’s not Dark Souls, it isn’t Journey, it isn’t Tekken but it does take a few elements from all of them. What I can tell you is that Absolver is an online fighting game which brings a refreshing combat system and presents it in a beautiful adventure. This isn’t the typical formula for the genre as success doesn’t rely on frame data or practicing movesets for ‘your main’. 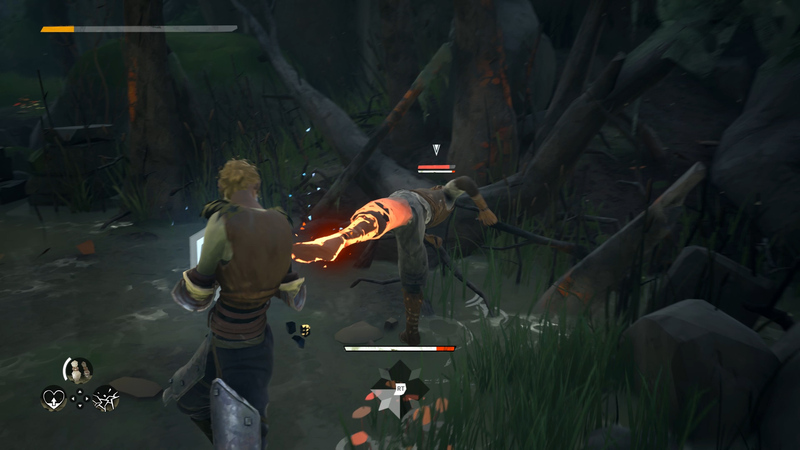 Absolver is unique and offers a different and engaging fighting experience to players who may otherwise find the genre too difficult to parse. 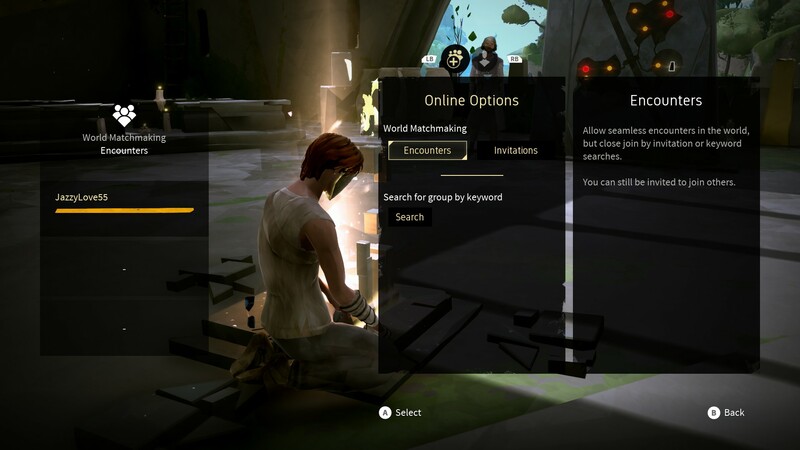 Since you are dropped into the world of Adal with little exposition, Absolver forces you to learn quickly. The intro area acts as a tutorial for the basics of hand-to-hand combat: blocking, dodging, and combo execution. It’s quick and a perfect start to the game as it provides enough of an initial challenge to put these new skills to the test, while also teasing at the mysteries that lie ahead. Once the hub area is found, players are given a map by a peaceful NPC and told they need to find and defeat six marked ones. The typical learning curve in fighting games relies on players memorizing the basic attacks, special moves, and bread and butter combos for their character of choice. Once you know all the inside and outs of one character, you then need to know how to apply that knowledge against all of the other fighters and how to counter their own combos, knowing how many frames their special moves take to execute, and on and on. It can be a long, arduous process and makes fighting games feel quite esoteric for a newcomer. 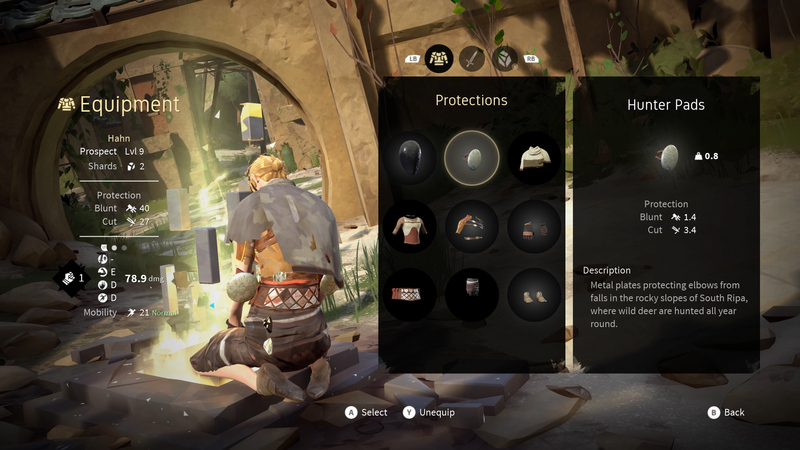 The light RPG elements in Absolver gives a nice amount of depth to character development. Players put points into six different attributes which changes damage, speed, and stamina. Loot from fallen opponents dictates defense and speed, and of course the look of the fighter. 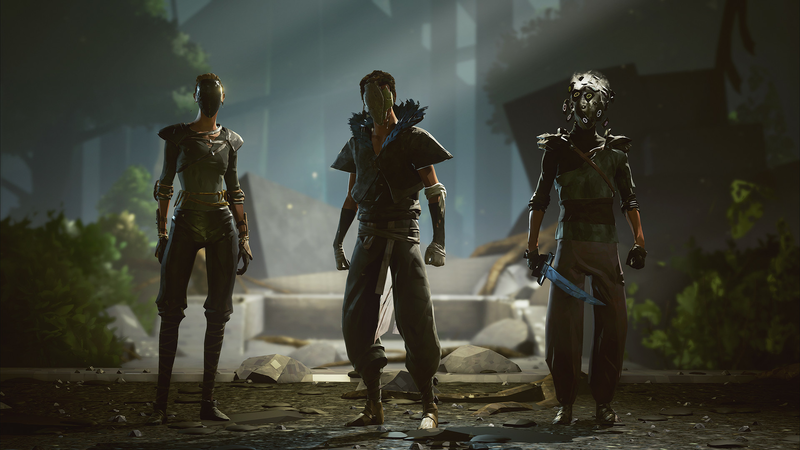 For me, Absolver, is the fighting game I never knew I wanted. The combat is raw and precise. There is a push and pull, an ebb and flow. It’s elegant and savage. When you connect a solid combo, it feels like a small victory, and when you take a hit, you reel from it. I did my best to make a combo which rotated through each of the stances, mixing and matching moves to form an elegant dance of death. Fast punches stringing into sweeping kicks, then spinning elbows, and finally jumping knees. 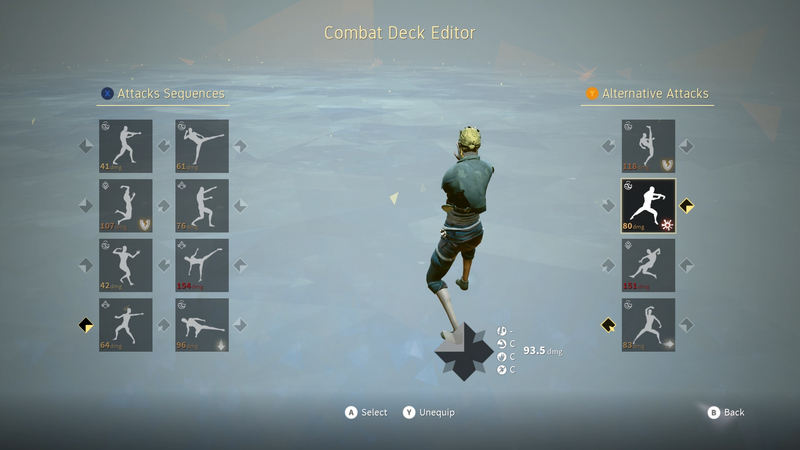 Timing on the attacks is illustrated through the stamina bar, but once I became familiar with the flow of my combat deck the timing became second nature. As I explored the vast ruins of Adal, I came across many opponents who I couldn’t defeat using my infinite combo. I had to learn; I needed more experience to develop and expand my combat deck. When creating a character, players choose from one of three fighting styles. Each style has a general playstyle, but more importantly each one dictates how the character counters attacks; parry, dodge, or absorb. Within each style, four stances can be used from which to attack and shift between depending on what your opponent is doing. Players can customize the combos with all the moves they have learned and assign these moves to the stances. Different moves leave the character in a particular stance, allowing for wonderful combo choreography to be made. New moves are learned through sparring with other characters. When an enemy attacks you with a foreign move, your character learns a little bit of how that move works. A new move doesn't immediately unlock the first time it is encountered; it must be studied. Blocking a move goes a little ways towards learning it, but it can be learned even faster through successfully countering a new move (parry, dodge, or absorb) and then defeating the opponent. Once my character understood how to use the move, I could then integrate it into my combat deck. This system blew my mind; Sloclap is ultimately forcing players to slow down and study their opponent. Poke them, use feints, employ a little zoning and decide when to defend or attack. It’s genius. 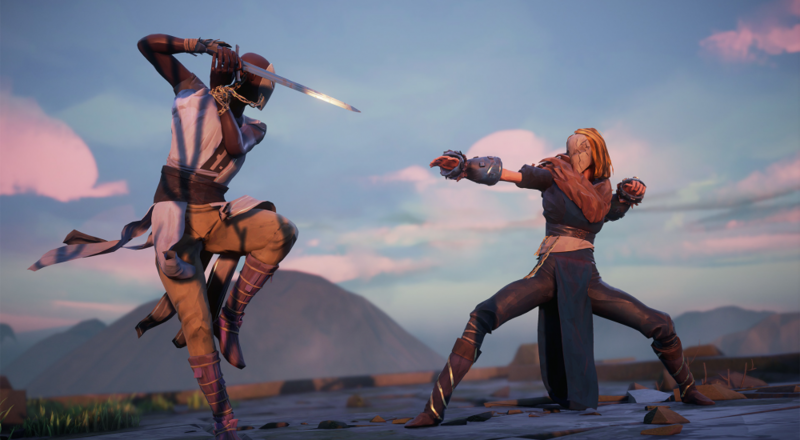 Absolver teaches players how to learn about how to play fighting games, which is something no other fighting game has done, and it does so in every encounter you have, be it with an NPC or an online assailant. 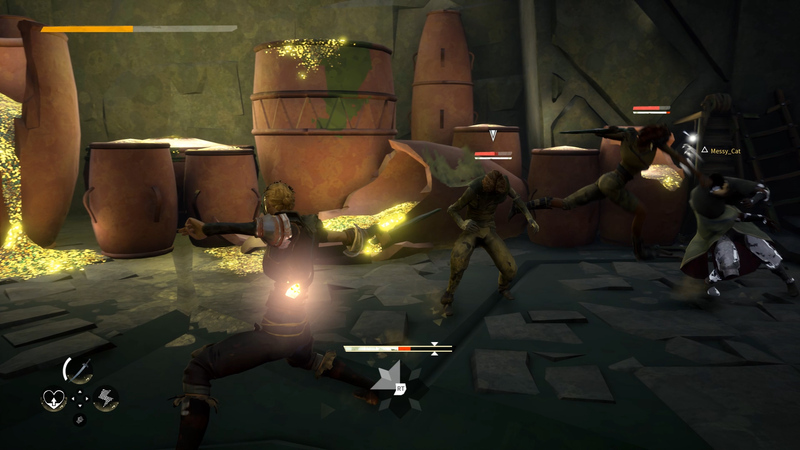 The seamless multiplayer in Absolver greatly lends to the appeal. As players wander through the world, they will meet other Prospects. It is up to them if they want to fight, cooperate, or go their separate ways. I found many players on my journey who knew moves I lusted for. I had to fight them and learn their ways. 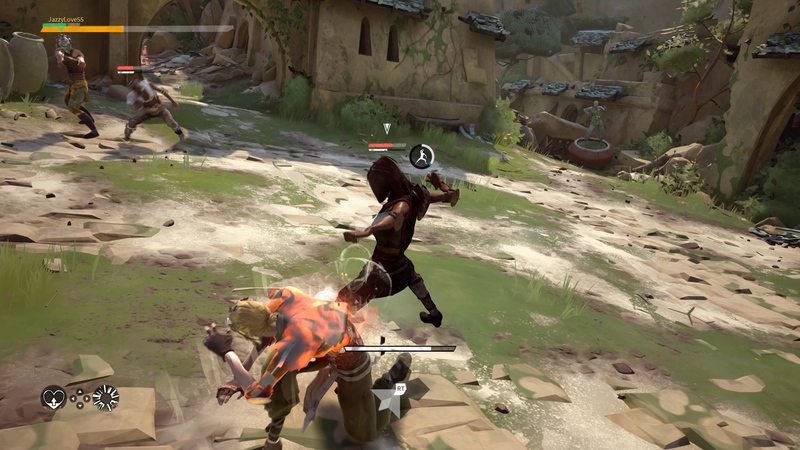 Fighting games are built around social interaction - a dance between two combatants - and Absolver thrusts players into these interactions by ensuring that the only way to develop your character is through fighting. If players are finding the world to be too difficult, or if things aren’t clicking it is very easy to get into co-op with a friend or a stranger. As noted, one of the options when you meet someone is to invite them to be your ally. Keep in mind, though, an alliance doesn’t grant immunity and a stray kick from your newly found friend could find its way into the back of your head. Inviting a friend is just as easy, and you can even limit your game to friends only by switching from the ‘Encounters’ mode to the ‘Interactions’ mode. The game does scale when in co-op but uneven fights aren’t that fun and the experience suffers when slugging on outnumbered foes. There is no voice chat, but the emote system has enough to communicate. I spent half of my time solo, and the other half battling other players, or helping them through areas. For a little more of an in-depth discussion on this, check out Jason's take. It shares the DNA of a great fighting game, with its execution and memorization of moves, but it stands apart with fully customizable move set and novel combat deck. 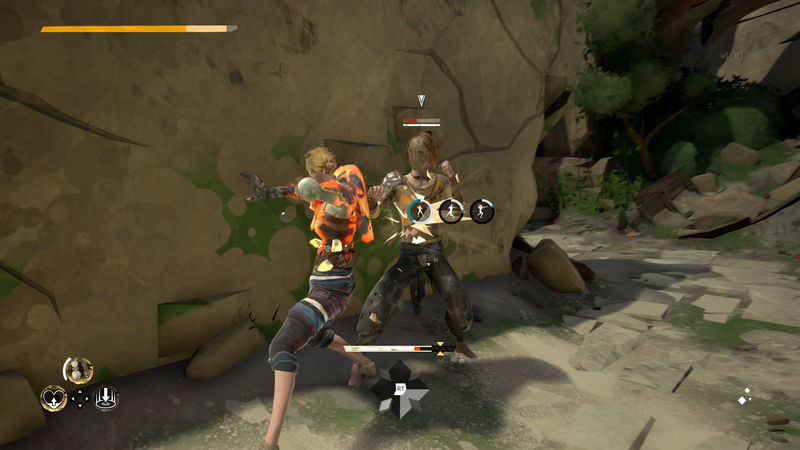 Absolver is an amazing experience. It pulls familiar elements from a variety of titles you would never associate with a fighting game, and alchemizes them into something that feels new. The unique combat decks and the method of learning new moves to add to the deck captivated me like no other fighting game has done in recent years. I said earlier it's the fighting game I never knew I wanted, but it's more than that. I think it's the fighting game no one knew they wanted, but everyone should.